As a part of the new environment, I start to learn this functional programming language called Scala Programming. I sign up the Coursera’s course, Functional Programming Principles in Scala. The course began in May 2017. Therefore, most of my write-up on Scala is be based on the Coursera’s course and some of the experience I gained from my hand-on or on-job-training. Before I start coding, there is a few things need to be installed and configured before I can start the basic print out “Hello World”. Let me walk through the setup processes here. My machine is running on the virtual machine with Ubuntu 16.04 installed. It will prompt you to enter user password of your machine and it will proceed to get it installed. For other Linux operating systems, there are other commands to be run. To check the installed Java version, you can type the below command in the terminal. Alternatively, you can install the JDK manually by downloading the .tar.gz archived file from the Oracle website, unzipped it at the preferred directory and add the bin/ directory of the extracted JDK to the PATH environment variable. 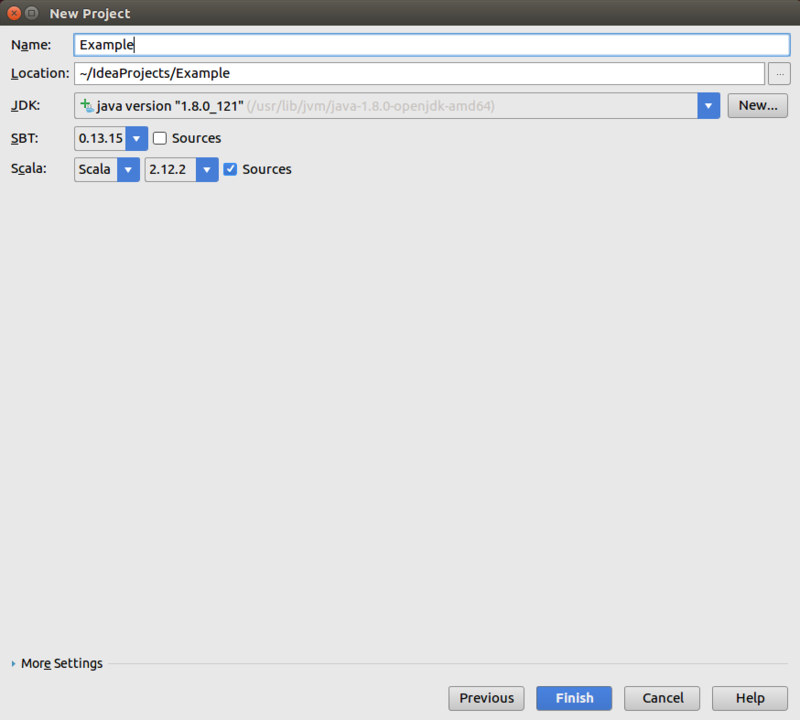 sbt is an open source build tool for Scala and Java projects, similar to Java’s Maven or Ant. This is a definition I found from the Internet. There is an online document you can read up for ‘Getting Started with sbt’, http://www.scala-sbt.org/0.13/docs/Getting-Started.html. I refer to this online document to install sbt on Linux. For other operating systems, you can refer to the relevant document. For the Coursera’s course, the instructor teaches us to install the IntelliJ IDEA. 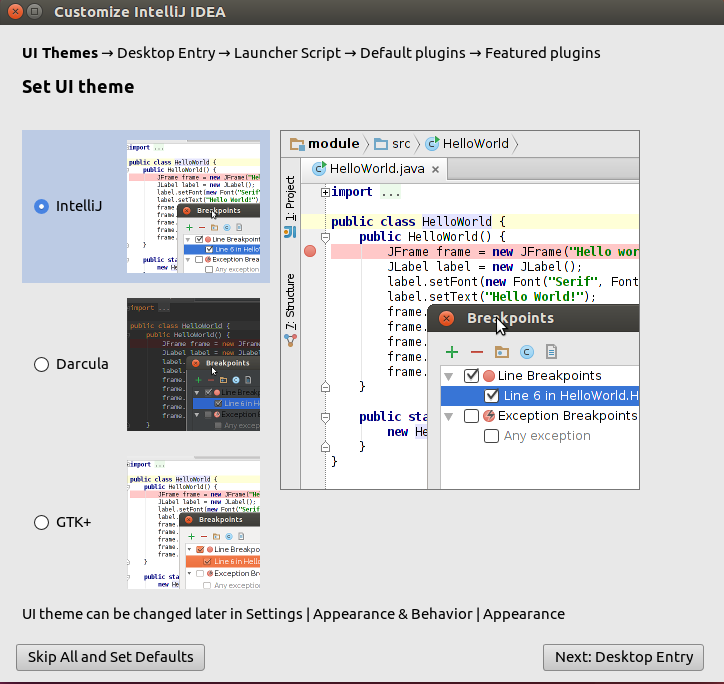 You can choose to install other IDEs such as Eclipse, Sublime and etc. It is your own preferences. For my virtual machine, I will follow the Coursera’s course to use the IntelliJ. 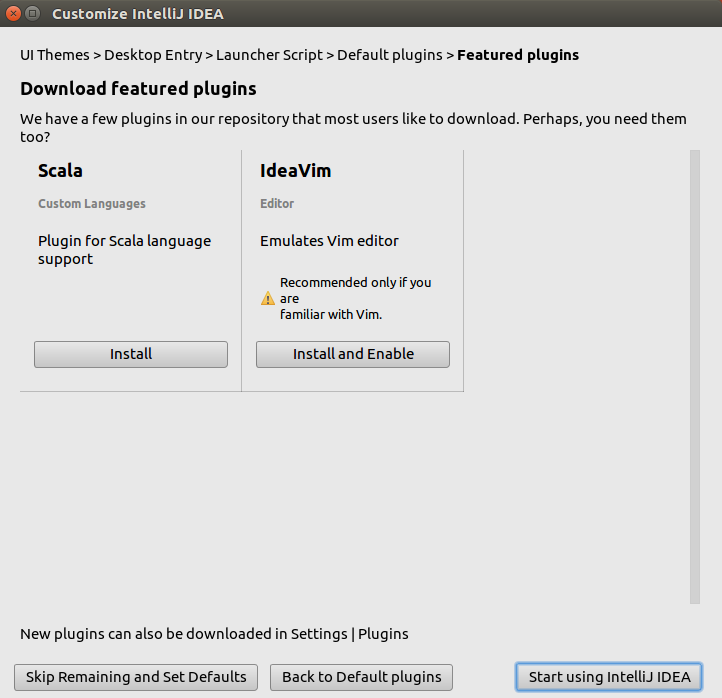 The installer can be found from its website, https://www.jetbrains.com/idea/download/#section=linux. Proceed to download the Community version .tar.gz file. Upon completion, change directory to the file location. You can run the command below to check the file too. Viola! The IntelliJ’s first screen prompts up. Go along with the step by step setup until you click the ‘Finish’ button. 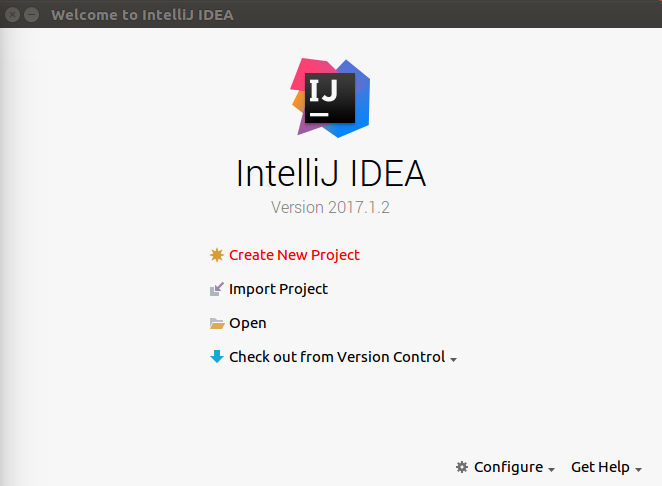 The customization of IntelliJ IDEA allows us to set the UI Theme, create desktop entry for integration with system application menu, create launcher script which allows us to open files or projects from the command lines, install plugin in which Scala must be installed before we start using it. And yes, we are just two more steps nearer to the first Scala program. Click on the ‘Create New Project’. In the screen below, select the Scala > SBT > Next button. 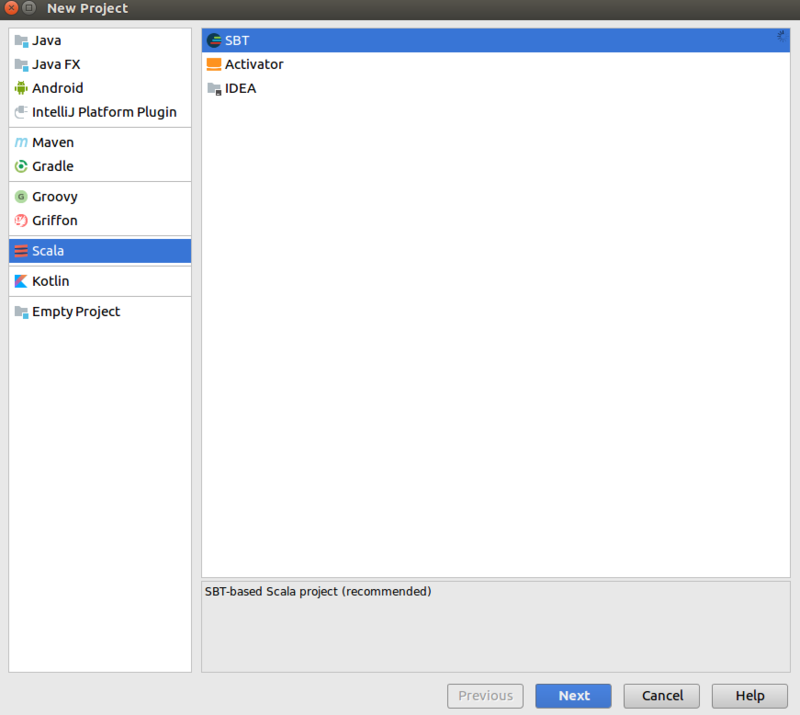 It brings us to the next page where we fill in the project name and check on the JDK, SBT and Scala properties. Remember that we have done the JDK installation in the first step, then followed by the SBT installation before we began our IntelliJ installation whereby we did the Scala installation too? Click on the ‘Finish’ button and it creates the project for us. The interface looks as below when it launches on my virtual machine which is running on Ubuntu 16.04. Last step is start learning how to code! Keep it up!